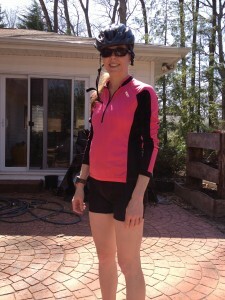 This entry was posted in Healthy Living, Running Pregnant and tagged core, cycling, Motivation, running pregnant on August 13, 2014 by Natalie. 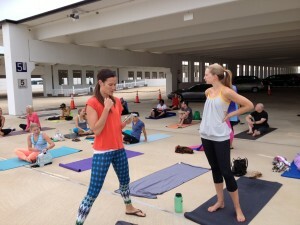 With friends waiting for rooftop yoga to begin. 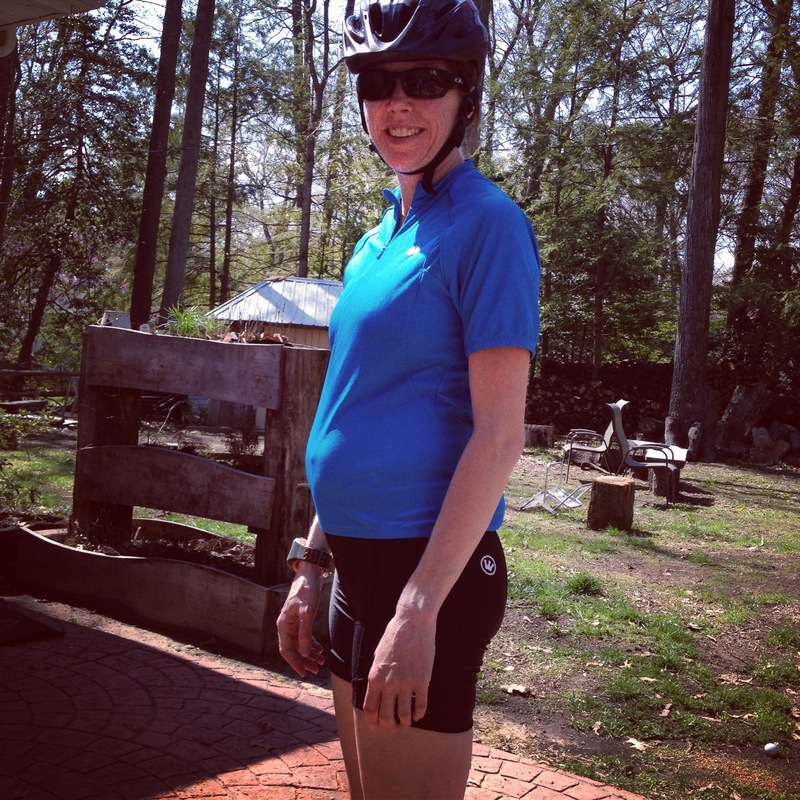 This entry was posted in Running Pregnant and tagged biking, cycling, Motivation, running pregnant on July 20, 2014 by Natalie. 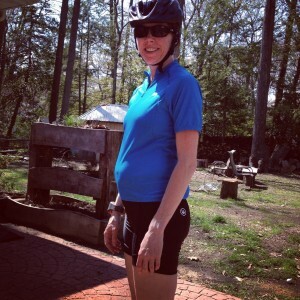 This entry was posted in Running Pregnant and tagged cycling, running pregnant, Spinning on July 5, 2014 by Natalie. This entry was posted in Running, Running Pregnant and tagged 10K, Cooper River Bridge Run, running pregnant, work-out on March 9, 2014 by Natalie. I love to compete, usually in the form of running. This spring I’m doing something totally different. I’m cycling and it’s NOT a race. 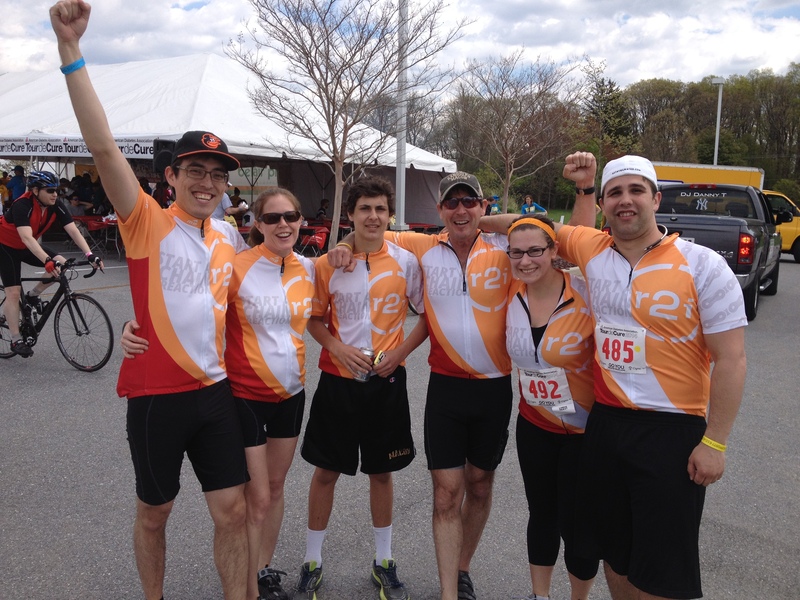 One of the co-founders of the Baltimore digital agency where I work, r2i, is on the board of the ADA Maryland chapter and his son suffers from type I diabetes which is an auto-immune disease in which the pancreas does not produce insulin. He has rallied a team in our office to ride in the Tour de Cure. 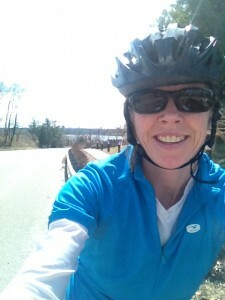 So, on May 3 I will be riding somewhere in the neighborhood of 22-36 miles for FUN to show my support of the ADA’s efforts to advocate, support and find a cure for the more than 26 million people in the US who have diabetes. Part of the responsibility of being on the team is of course fundraising. 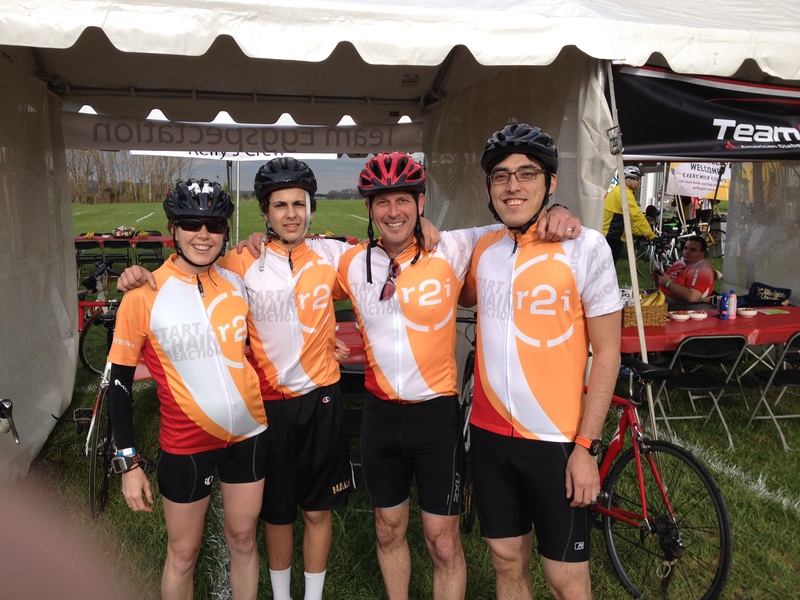 If you or someone you know is affected by diabetes, can you please consider making a donation and/or if you’re local to Howard County Maryland, consider joining my team? The easiest donation is $26 which represents those 26 million people living in the US with diabetes. My total goal is $500 so a little bit will go a long way! Click here to learn more on my page and click here to donate. Thank you in advance for any donation you can make and for sharing this with others who may be willing to contribute. This entry was posted in Running on February 25, 2014 by Natalie. 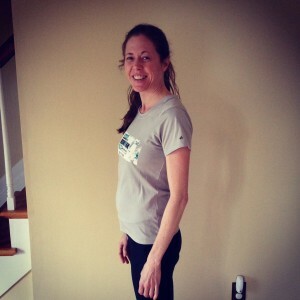 This entry was posted in Running, Running Pregnant and tagged Running, running pregnant, Training on February 23, 2014 by Natalie.